Make they're birthday stellar this year! This star-studded cake is a testament to how out of the world they are and how deserving they are of a great day. Let them know that you're thinking of them on their special day and that you believe they should only get the best. Make their birthday tasty and an astronomical amount of fun! 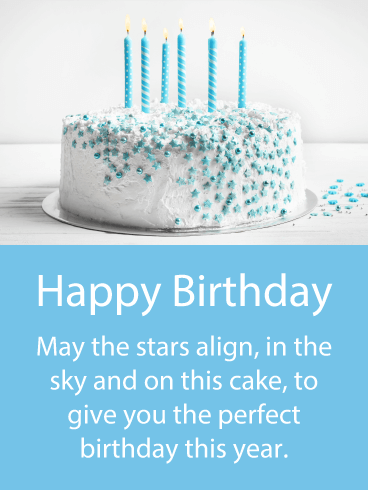 Happy Birthday - May the stars align, in the sky and on this cake, to give you the perfect birthday this year. For their birthday this year, gift a fabulous party! 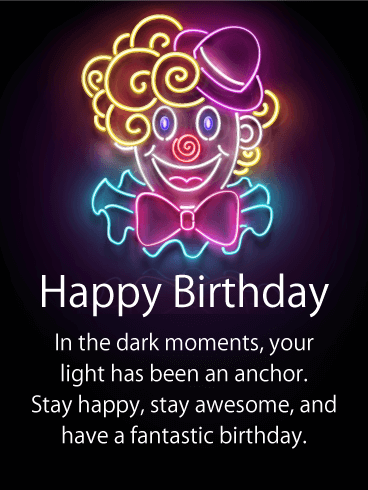 This card is full of everything you need - streamers and balloons, cake and drinks, presents and candles. 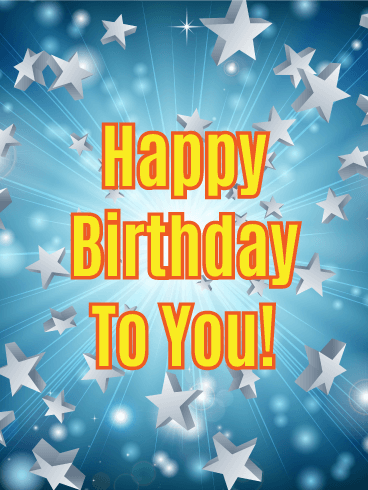 Everyone in the world deserves a party in their honor, and this card lets them know you have them covered! Awesome people deserve awesome birthdays. Make it happen with this birthday card. 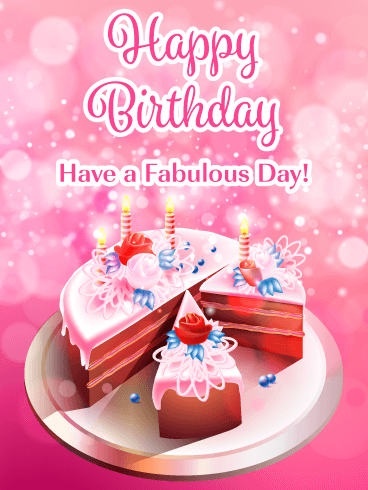 Make their birthday fantastic with this birthday card! Bursting with energy and full of star power, this birthday card is guaranteed to make the day energized and spectacular. A day to remember. An event to recall in ten years with fondness. They will love this birthday card and the excellent birthday it promises to kick off! 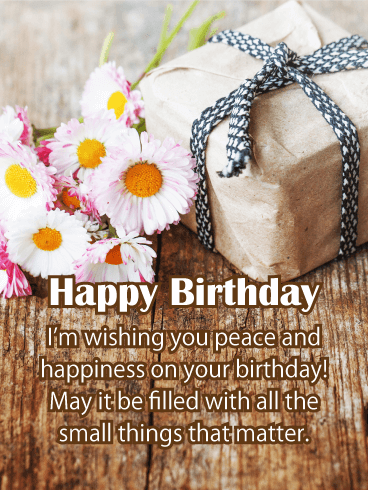 Make them smile for hours with this great birthday card! 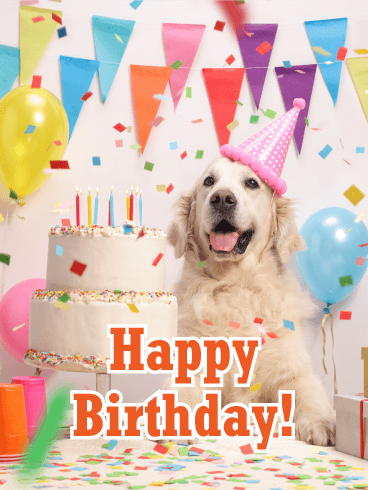 Full of fun and celebration, it's impossible not to feel happy looking at this excited pooch in a party hat presenting a towering birthday cake. Let them know that near or far, you have their best interests at heart. And today, it's in their best interest to have a fantastic birthday. 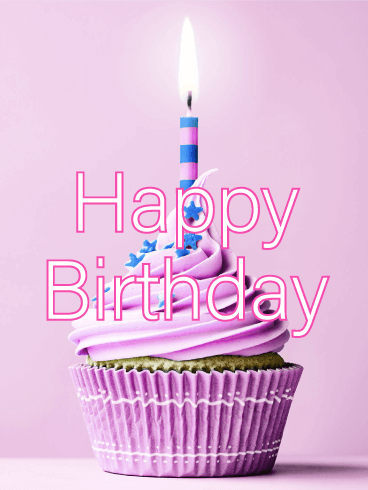 Make their face glow with this colorful birthday card! Full of presents, each box here is stuffed with well wishes and laughter guaranteed to make the day awesome. 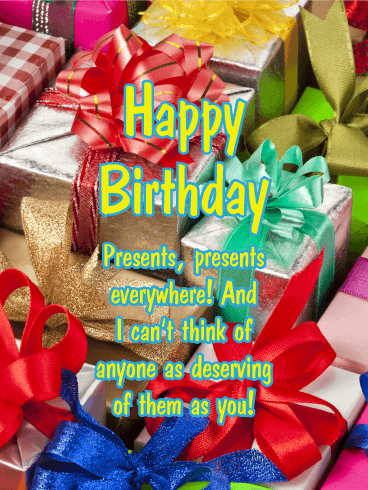 This card is perfect for the person who gives to the world and excepts nothing back. 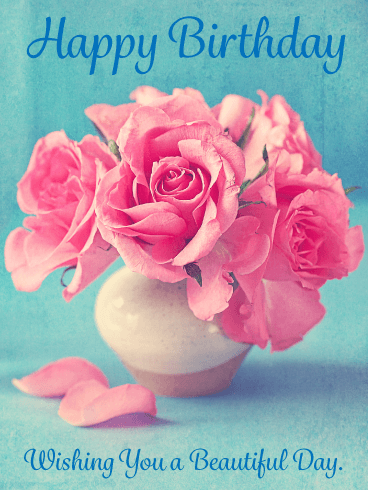 Let them know how much you appreciate them and how awesome they are with this birthday card. From the neighbor who kindly picked up your paper or the rival at work who knows when to back off, the people who make our days better are amazing. Let them know they are a balm on your soul. Let those who inadvertently help you through the dark know you will gladly return the favor. Send them a card that highlights how bright they can make your mood. All food is made with love. A devotion to good taste, flavors, and enjoyment. Crafted for the experience of eating something delightful. 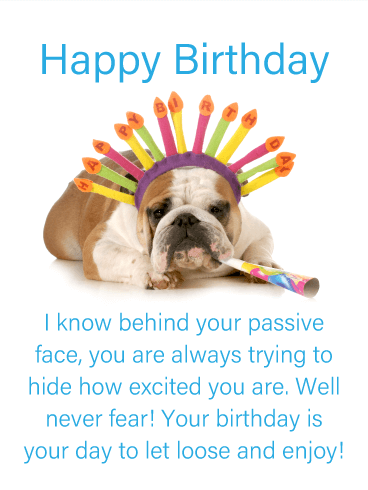 Send a birthday card that does the same. This cupcake is filled with love, appreciation, and gratefulness toward an amazing person. 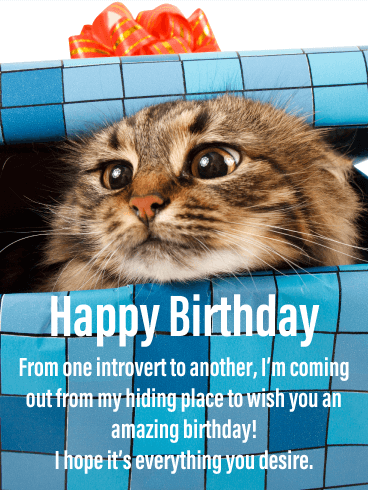 It the best birthday gift a person can get - knowing they're cared for. Send it immediately and make their birthday enchanting. Help their birthday wish come true this year! The story goes that if you blow out all your birthday candles in one burst of air, your birthday wish will come true. Send along the encouragement and strength they'll need for the task. Let them know you believe they can do it, and in the process make their dreams come true. You're not a social butterfly, but that's okay. You don't have to see someone regularly to have a good relationship with them. With some people, you just click despite, or perhaps because of the, the distance. 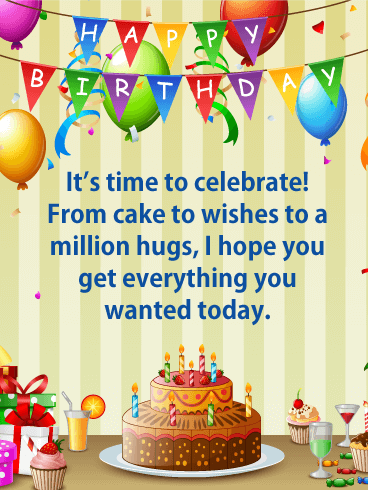 But your feelings are strong and they want to make sure your wishes for a spectacular birthday are heard. 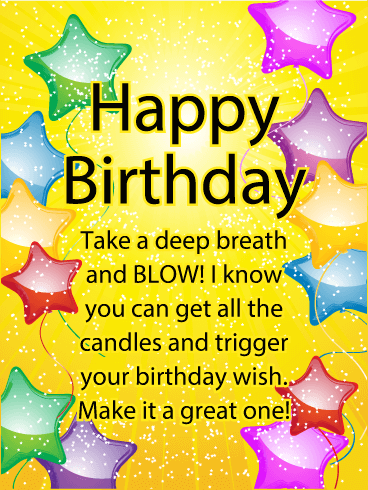 So send this birthday card and your message will be heard loud and clear!